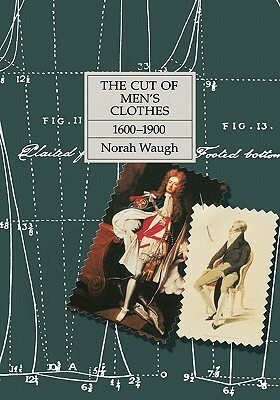 Interesting book on the various ways clothes were cut between 1600-1900. Lots of cut examples are provided from each period and for each style. I especially loved the contemporary quotes from various sources. I would have liked more pictures of the various garments as the author went along to help me visualize them, but this was mostly solved by using google. I wish there were a few more pictures in here, but this is an otherwise excellent resource. The book includes fashion plates and patterns, descriptions of clothing cuts and details, and quotes from each century's fashion contemporaries. Men wore corsets?! Ah, the fragile beauty of the Victorian consumptive figure...fashion.